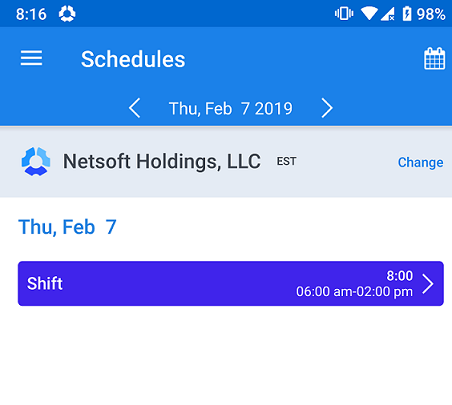 Hubstaff now offers the ability to view your schedule directly from the mobile apps. 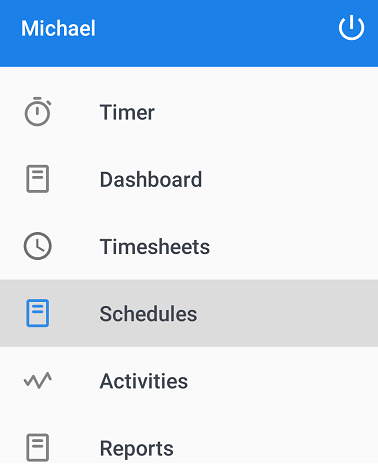 In the schedules section, you will be able to see your schedule shown. You can click through dates to see upcoming schedules as well as past schedules. If you select a schedule, you will be able to see more details about it. Times, Date, Shift status, and Minimum hours will all be viewable. 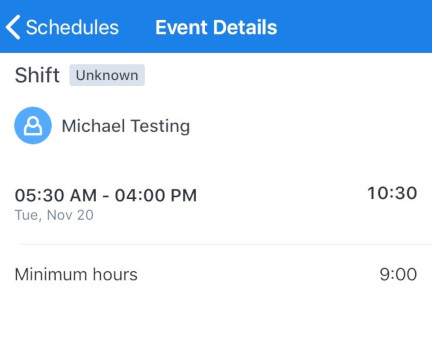 If you select a schedule, you will be able to see more details about it. Times, Date, Shift status, Minimum hours required, how many hours have been tracked so far, and when time was started and stopped will all be viewable. Note: The schedules area is designed to show your schedule only. If you are an organization owner looking for your team’s schedules and attendance reports, you will want to login on the main site to access that information.